Update: Sadly OM closed in January 2013. I am seriously backed up on Brunch blog posts. This is actually a travesty on my part since we have had an unusually large amount of absolutely outstanding brunches in the last few months! Remember when I told you about the amazing weekend when my sister visited and we ate at Tangierino and went on the fabulous Boston Chocolate Tour? Well in between those 2 amazing eat-fests was yet another, brunch with the brunchers at OM Restaurant in Harvard Square. That’s right, another meal. I am going to be honest, I walked into this brunch actually expecting to be disappointed. Despite securing Patricia Yeo, a great chef with good street cred, OM just hasn’t been much talked about in the culinary circles of Boston. So, my expectations were low. But you know what they say, expect the worst and hope for the best! Well boy, did my hoping work! I have never been to OM before. Apparently it is a pretty rocking nightclub at night, but walking into this zen-like space, complete with waterfalls and walls of windows overlooking Harvard Square, I would have never guessed that. We were immediately served a Lychee Bellini which was out of this world. The fun thing about dining with food bloggers? I learned from Bianca that in the Philippines lychees are pronounce lie-chee, where as in South Africa, where we are from, it is pronounced lee-chee. And I always thought the people who said lie-chee just didn’t know what they where talking about….learn something new every day! Say it however you will, this was one delicious way to be greeted! Next we fell into the old conversation of how amazing the sweet brunch items looked, but do you really want to only eat sweets for brunch? Don’t answer that. Well, there was no need to decide, because the fabulous staff went ahead and brought us family style orders of the Stuffed French Toast and the Lemon Pancakes. Both were delicious and a great way to peak our appetites for our main courses! 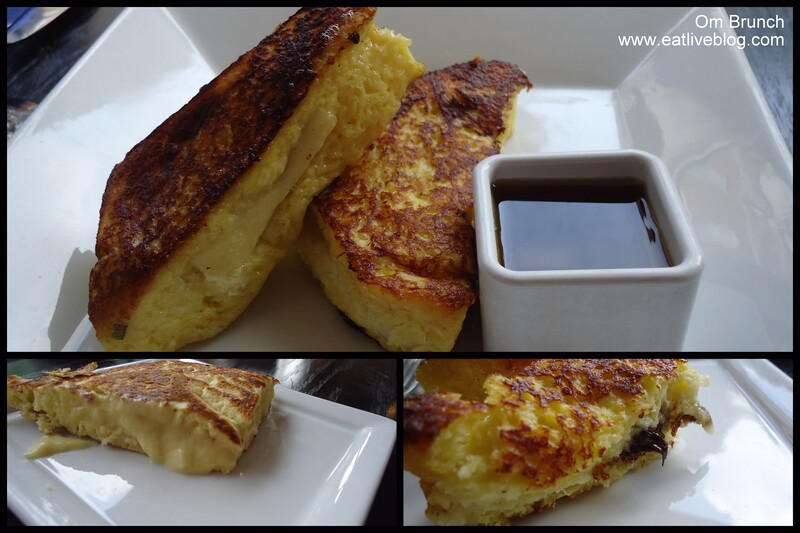 And PS – I would absolutely be happy with sweets for breakfast if the sweets were their banana and chocolate stuffed french toast again! Well let me just tell you, the biscuit was homemade, and while it resembled an english muffin, the butter content screamed biscuit. It was delectable! The egg was sunny side up and beautifully yolky. The tomato jam was smoky and added an amazing level to the dish that just brought it home. The house-smoked ham was packed with salt…just the way I like it. Megan thought it was a little too salty, but I don’t know that there is such a thing as too salty! And please, let’s take a second to admire the spicy potatoes on the side of this dish. It is not often that potatoes get an entire paragraph to themselves, but if there ever was a breakfast potato that deserved it, it was these. They were perfectly, uniformly diced, and had just the right amount of spice. I think every one went home dreaming about these, and several of us were even inspired to try and recreate them! So, you may have guessed by now that my low expectations of brunch at OM were blown out of the water. As the brunchers left OM, we all gathered outside each expressing how surprised we were at just how delicious the brunch was. I am pretty sure there was a general consensus that we would all be adding OM to our brunch restaurants to recommend. Thank you OM for an amazing brunch, you can bet your delicious, buttery, homemade biscuits I will be back! Disclaimer: OM Restaurant provided brunch for the Boston Brunchers free of charge. The only charges we incurred were for tip. I was not required to write this review, and all opinions expressed in this review are my own. Complimentary brunches may or may not be representative of a standard dining experience at this restaurant. I’ve had disappointing dining experiences at OM so it is good to hear a positive review about their brunch! Lie-chee, lee-chee, yes you’re right whatever it is called, it is delicious! I absolutely loved Om and I’m still thinking about the duck confit hash I had there! Wow this place sounds wonderful. I’m hoping to visit my daughter in Boston sometime in October and I’ll make sure we stop at OM. Any other great restaurants for lunch or dinner would be appreciated. We went to a great tiny restaurant last year that had amazing food and a fun atmosphere just off Commonwealth, I’ll have to ask her the name. 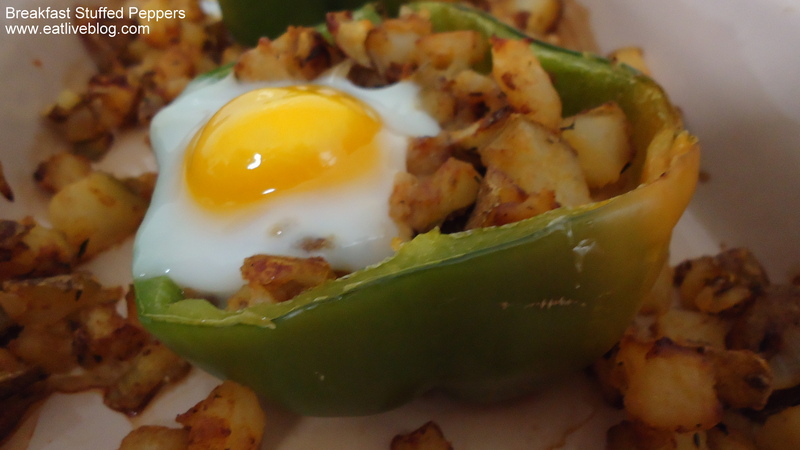 I like this idea of a stuffed pepper with potatoes and egg. I do something similar with canadian bacon, egg, cheese and spinach if you like spinach. Only you fill them in muffin tins. 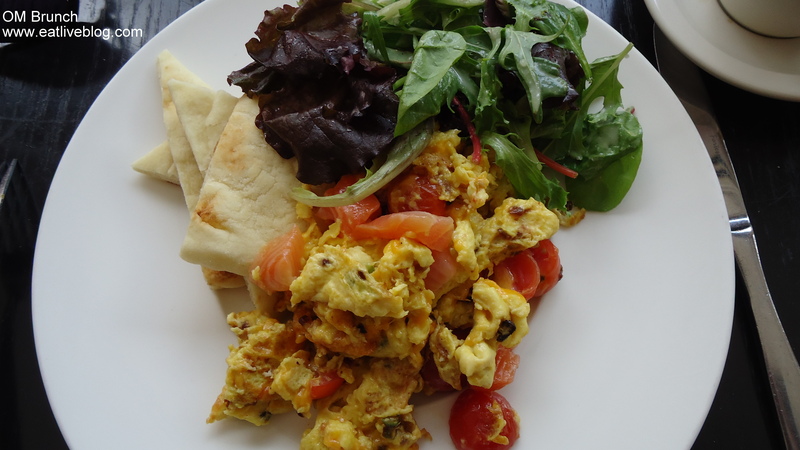 A fun brunch dish. Sounds like you all had a great time at brunch. I love your writing style! I have only been for cocktails at OM so this is a wonderful inspiration to get over there for food! Aw! Thanks Fi! That is one of the nicest comments you can give me 🙂 And yes, you must try their food now too, I hope you will be as happily surprised as I was! this brunch looks phenomenal! i drool over these dishes more after each post I read. and i love the sounds of the decor. I must check out OM soon!